One of the many great things about Carcassonne is how close it is to so many great locations. Not only do you get to enjoy Carcassonne itself but you can use your time to visit other nearby attractions using your car hire Carcassonne service. 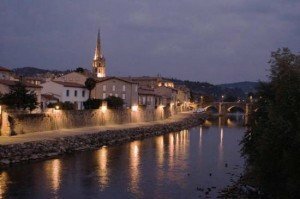 Probably the most obvious choice for a day trip would be Toulouse however some overlooked spots such as Limoux can also be a great choice. Limoux is renowned for its sparkling wine (Blanquette de Limoux) as well as its local cuisine with famous recipes for sweet treats like nougat and le Limos. Those who want a good local history lesson really cant go wrong with a visit to Catha-rama which entails a thirty minute audio visual guide of all thing Cathars. There is also a segment geared towards kids as well as the option of English. There are lots of other places well worth a look and just a short drive away such as Narbonne, Alet-les-Bains, Bram and more.